Since debuting its desktop gesture control device a year ago, Leap Motion has been a very computer-centric company. But that changed today when it released a small plastic clip and big software update that integrate the Leap Motion controller with Oculus Rift. After trying the combo, I’m convinced that this is Leap Motion’s killer application. Oculus does not have native hand tracking, which means that if you want to do anything beyond turning your head from side to side in virtual reality you need to invest in accessories like joysticks or sensors. 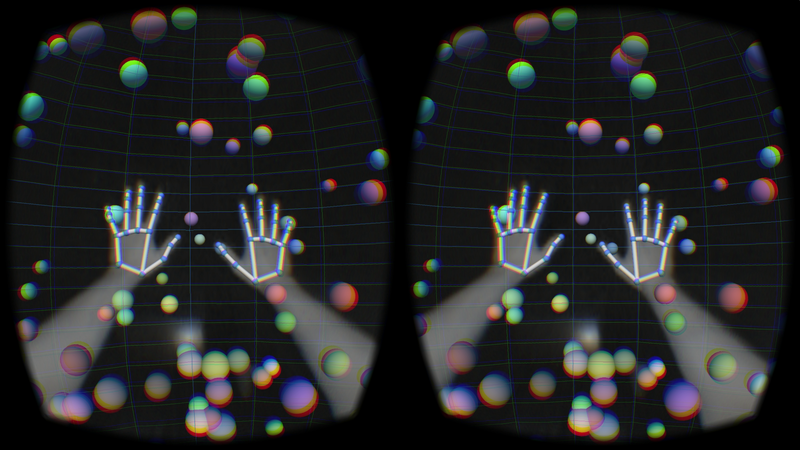 Hand tracking is what Leap Motion is all about. During a demonstration, it replicated my hands in virtual reality better than any rival I’ve tried. The clip, which is now selling to developers for $19.99, holds the Leap Motion to the front of the Rift mask. The new software adapts the device to track movement from the top instead of just the bottom, which means Leap Motion is now accurate peering down at your hands instead of looking up from a desktop. 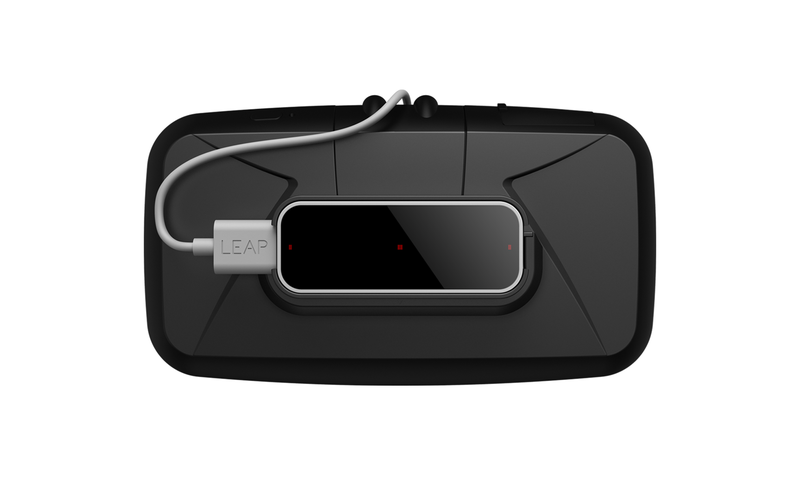 Leap Motion clipped to the front of Oculus Rift. Photo courtesy of Leap Motion. Interestingly, Leap Motion also opened up access to the devices’ infrared camera. This morphs Oculus Rift from a virtual reality device to an augmented reality experience. You can lay the virtual world over the physical or quickly swap to the IR view to take a drink of water without having to take off the Rift headset. And because it’s IR, you can even see in the dark. Leap Motion is thinking about expanding into the visual spectrum too. I tried an experimental version of the device nicknamed “Dragonfly” that adds color vision to Rift. Basically, it feeds in a video of your surroundings, opening up the potential for advanced augmented reality. Buckwald and fellow co-founder David Holz see virtual reality as a place where Leap Motion is finally on equal ground with other types of controllers. On PCs, it has always fought a battle with keyboards and mice, which have grown to be second nature for users. Leap Motion tracks all five fingers in virtual reality. Photo courtesy of Leap Motion. “On PCs we’re sort of input device number four. It makes it difficult to make it into a truly Leap-centric experience,” Holz said. It’s also an opportunity to help define what virtual reality is. Oculus Rift might be the most popular headset, but it hasn’t even debuted to the public yet. “What’s exciting to us is being part of a technology while all the ground rules are being decided,” Buckwald said. Hook this into Skyrim and VorpX, and I’ll buy one yesterday.